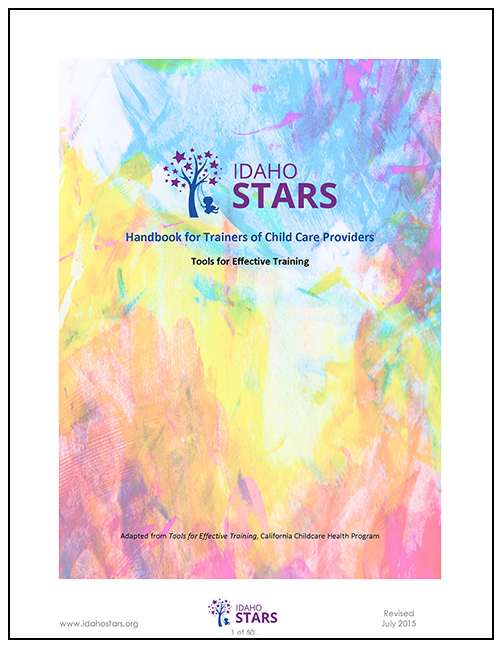 Trainers are an essential part of the IdahoSTARS mission to improve the quality of child care in Idaho. Training that providers can apply to their work with children and children’s families. Increased awareness of current topics in the Early Care and Education field. Practical tools and skills to use the next day in their work with the children and families they serve. Current, professional, quality training for child care providers. Training which is developed based on their experience and education. Include modifications of the training material to use for including all children and families: think about poverty, diverse abilities, family structure, etc. Include the three types of learning styles: auditory, kinesthetic, and visual. Use current, scholarly sources (resources developed within the last 5 years). 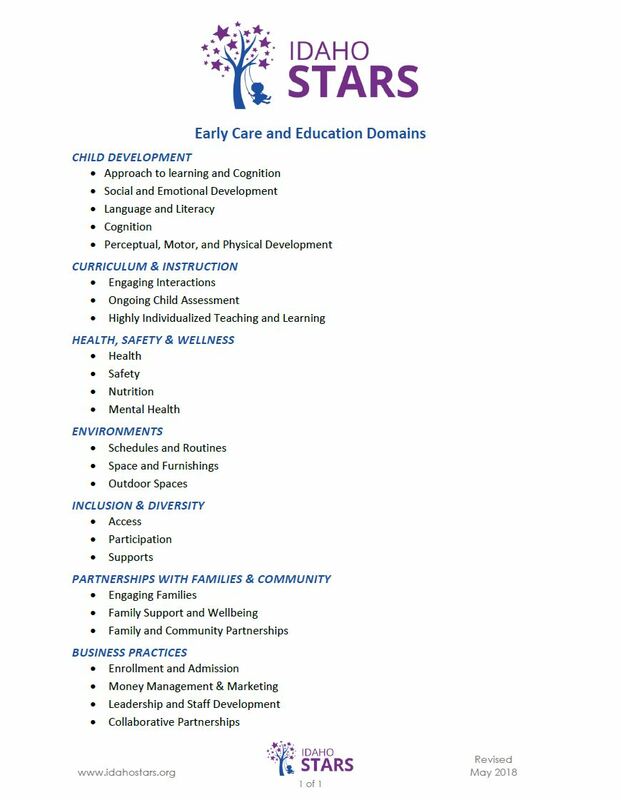 Review and know the Early Care and Education DomainsPDF . Review and know the Idaho Early Learning eGuidelines. Note: Trainers need to mention the Idaho Early Learning eGuidelines during each training opportunity they conduct.